WOFS.com started in 1998 as the first online feng shui magazine, but has since grown into an extensive feng shui resource and portal offering everything to do with the fabulous living skill of feng shui. Founded by world best-selling writer and expert on feng shui Lillian Too and daughter Jennifer Too, our aim is to make feng shui more accessible to both the layperson whose interest in feng shui is just budding, as well as to the seasoned feng shui practitioner. Updated regularly and with a huge archive of content, WOFS.com aims to bring you everything you need to know to learn about, practice and use the ancient science of feng shui in today’s modern world. 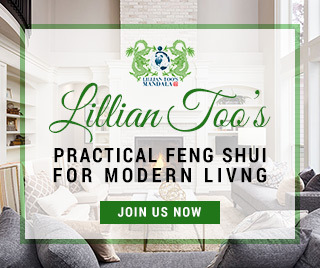 With our articles, tools, and resources, our mission is to bring together feng shui enthusiasts from around the world to achieve the singular goal of demystifying the invaluable living skill that is feng shui, and to enable more people to benefit from the wonderful results it can bring. But committed as we are to dispersing accurate information and knowledge, we also strongly believe that we shouldn’t take ourselves too seriously. Feng shui brings you one third of your luck, the other two thirds coming from heaven luck (what you are born with) and mankind luck (the luck you create from being a good human being). Have fun here at WOFS.com and feel free to give us your feedback and your ideas for us to grow this community into an even bigger and better one!